When I offer a guided journey there is often at least one doorway or portal in that journey. People are so conditioned to immediately step through, to step over that threshold. Yet I counsel them to stop there. To stand in that place and breathe. Between realms and between worlds is a powerful place. 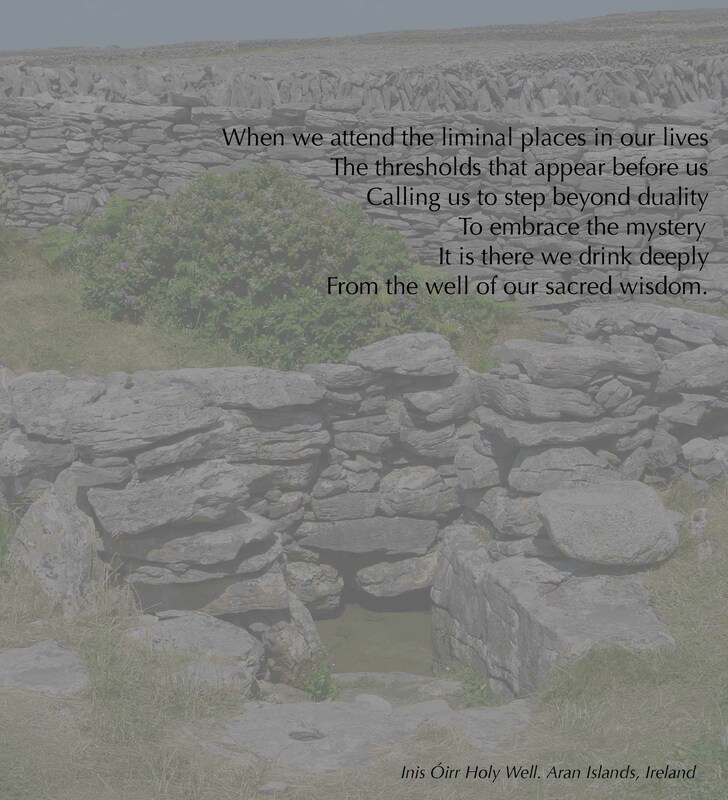 In the thin and liminal places in Ireland, like this holy well in the Aran Islands, the invitation to touch that space between is implicit. In the portals and thresholds of our lives the invitation is present, but often not accepted. We tend to the absolute, the concrete. The surety of black and white. Moving quickly from the unknown to the known. We are uncomfortable with ambiguity. Those grey places disconcert us. Yet it is in those between places that we can find such great wisdom if we, as John O’Donohue says, offer gracious hospitality to the liminal. Not stepping through those thresholds in life but standing in them. Even for a moment. To listen, to open, and to drink deeply from the well of our intuitive and sacred wisdom. Judith, in her infinite wisdom and patience, allowed me to touch these sacred places this past summer. I again came away a different person as I had the year before. When you stop at these portals, a new life can be formed, giving one the courage to move ever deeper. Thank you, Judith, for you guidance.